I had orginally picked, and LOVED this shower curtain. It was sold out in all the stores & online. Been stalking the website for weeks & nothing. So I had to look again. The bathroom colors are blue, chocolate & tan. I found these tree shower curtains at Bed Bath & Beyond. I LOVE the second one! I would totally get one like that for myself. However, I think it might be a little bit feminine for you AND Kyle. What does he think of it? I like the first one best for a balance between masculine and feminine. The third is nice, but since it's mostly white, I think your other bathroom accessories would have to be really bold. The first one is really close to the original one that I wanted. The last one I like because it is different. Our bathroom will have dark colors all over so I was thinking that might break it up! I am so torn! I like all those! I think 1 is my fave for a shower curtain though. Number 2 is great but I think it would do better a like a bead spread. I love #1 but it might be too dark depending on the colors of the walls and stuff. The walls are going to be a steel blue color. A little darker than the blue that it's in the curtain. Oooh, I love the second one! and can i please go house shopping with you sometime? that would be so much fun! We can do dinner too. Or lunch depending upon when we go. I need to find a bed for Kegan amoung MANY other things. At least for more ideas!! I like the second one best, but if the walls are going to be blue that might be too dark. I would get the 3rd one for blue walls. they're all very nice, and i think they'd look great with the wall color you've chosen. something to consider though, if your bathroom is small (don't know if it is), i would choose the lightest one, #3. it would make the bathroom seem more larger & airy. i would think. my second choice would be #2. I really love that last one. I guess for me it would depend on how the light is in your bathroom. 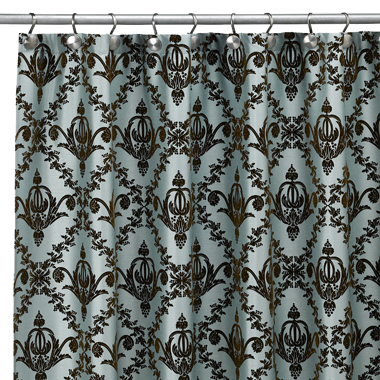 If I had a darker shower curtain in my bathroom I wouldn't be able to see in the shower! But if there is good light it would be between #1 and #3 for me. Same with me. 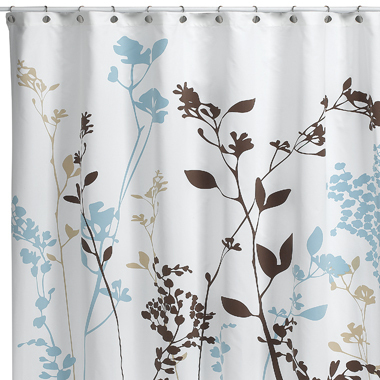 I got a darker curtain for the guest bath, and thank goodness I don't take showers in there. I wouldn't be able to see what I was doing. 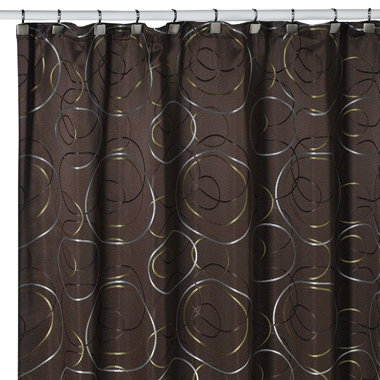 Make sure you have enough light while in the shower before buying a dark curtain. i think i like the middle one best! I personally like the 3rd.. but I think the 2nd one is definitely you.